Custom ringtones are a simple, cool way to personalize your Android smartphone. You can use your favorite songs as ringtones and assign each one to specific friends, family members or your boss. In this article, we'll show you how to create custom ringtones for Android using any song step-by-step. Android has a way to create custom ringtone baked right into its operating system. If you are using Android 9.0 Pie or later, you don't need to download anything special to get this to work. You will need to have the song or audio file on your device, however. Once you have your file stored on your phone, head over to Settings and then Sound. From there, you can choose the ringtone and call volume for each SIM (if you have a dual-SIM phone as pictured below). Tap Phone ringtone and then at the top right of the screen click on the + icon to add a new ringtone to your list of default options. You can choose from songs, artists, albums, genres or choose a tack from a folder. By searching through the folder tab, you can even add WhatsApp audio as your new ringtone, if you'd like. Once you have added a ringtone, it will appear in your list of tones. Simply select it and press OK at the bottom of the screen to confirm the change. The example pictured above is an MP3 track called biggergirls, which I recorded on guitar. There are several apps on the Play Store which can do this, but for this tutorial, we'll be using an open-source app called Ringdroid. Don't let the old school design fool you, Ringdroid is the best out there in terms of features and reliability. The app allows you to use any sound or song you have on your smartphone as a ringtone. Once you have created your ringtone, you can then set it as your default sound or assign it to a specific contact. In addition to ringtones, the app can also create custom alarms and notification sounds. Getting started: First things first, you'll need to install the free Ringdroid app from the Google Play Store. 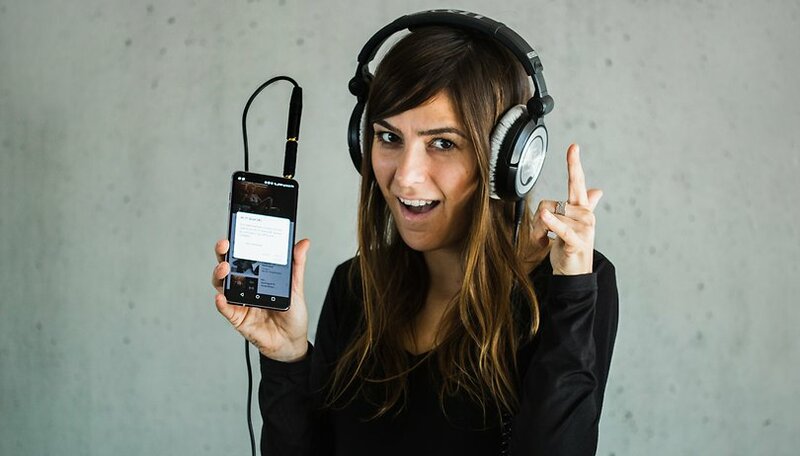 To turn a song into a ringtone, you'll also have to have the audio files or music you wish to use on your smartphone's internal storage or its microSD card. Ringdroid is compatible with MP3, WAV, AAC and AMR audio files. 1. Open the Ringdroid app on your smartphone. 2. Once the app launches, you'll see a list of all the songs on your device, as well as all the ringtones that came with the phone. To view all the sounds on your device specifically, hit the More icon (three dots) in the top-right corner, and choose Show all audio. 3. Select the song you would like to use as a ringtone from the list. 4. Once you have selected a song, its waveform will open up in the editor. Use the two sliders above and below the graph to choose a start and end point for your ringtone. 5. Finally, save the sound clip by pressing the floppy disk icon. You can rename it if you want to, and specify which type of alert you want to use it for (the default option is ringtone). All the ringtones that you create will be stored in the app’s main overview. If you have a lot of songs stored, you can search through them with the magnifying glass icon. What song will you be using as your ringtone? Let us know in the comments. I am using Synios Manager to create and save the ringtone to Android mobile phones. It is very easy to operate. I used RingDroid to make ringtones of Dimash Kudaibergen's songs! When I use Apple Music to make my exclusive ringtone for my Android phone, it seems that I can't do this due to DRM protection encoded in Apple Music files. Before starting to make ringtone, I need to remove DRM lock with DRmare DRM Audio Converter and then I can freely make ringtone from Apple Music and convert them to wanted audio formats with ease. I have been using this app for a fair time. It's really quite easy. Mark! Great app. Before I am using Apowersoft Phone Manager to transfer and set ringtones for my Android, but it can only set what I stored in my phone and cannot slip directly as it is a phone manage tool not a ringtone tool. But now, I will try this app to design and set my ringtones. I have recently downloaded this app from app store and was confused how to use it after reading this article I'm now able to use it to get my favourite songs as ringtones. I'm using "Strawberry Letter 23"as my ringtone. My Redmi 1s updated. After switch on it z showing with 3 language n it z mi recovery 2.0.1.not starting my phone. Wat to do. Please take a look this app, LastTUBE. It can download ringtone(also mp3, videos) from Youtube directly to smartphone. And it can be edited by Ringdroid app. Works great except I wish I could use the tone for notifications as well. The only options it gives you is default ringer and contact ringer. What happened to notifications? I ripped many of my cd's into mp3's as a playlist. Then into phone. I had this on my device in 2013 but removed it because WM Player converts my CD tracks into WMAs and it didn't work with those. I have been using this app for a fair time. It works well, easy to use. Brilliant. My Avast app said Ringdroid wanted to access my microphone. I read on Drippler that when Facebook did this with their music app, they accidentally (or not) also recorded users through the microphone. Could this happen with this app? Thanks! Great app, thanks for sharing!